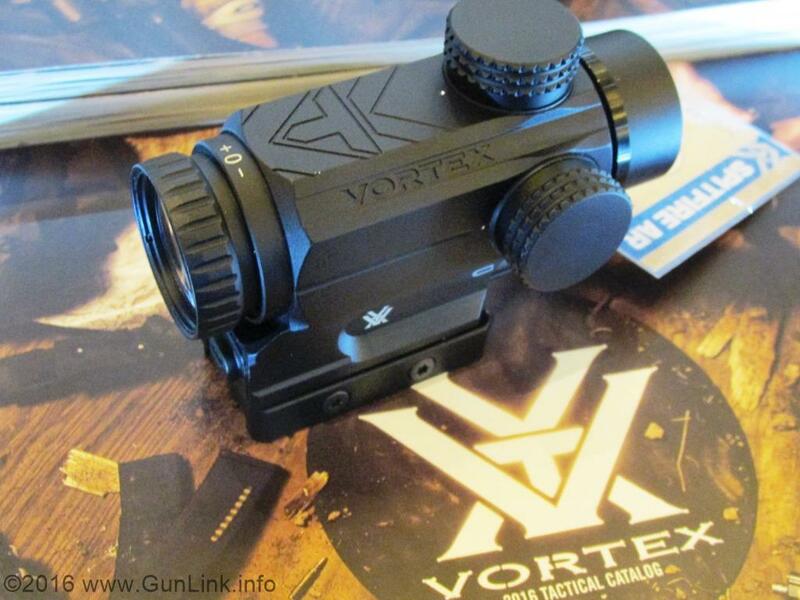 Vortex also had a pair of tactical 1x scopes more suited for CQB, quick shots, and closer target shooting. 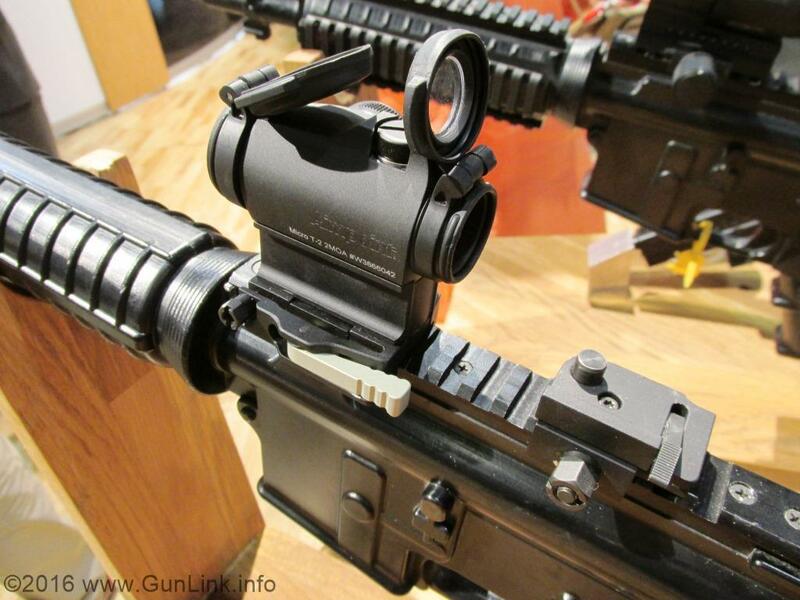 Up first is the SPARC AR – an unmagnified AR-ready red dot. The new SPARC has a 2 MOA dot with 1 MOA adjustments and rear-facing digital brightness adjustments. 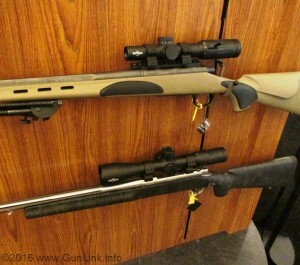 It also includes an auto-off feature that shuts the unit down after 12 hours to save your battery – so no having a battle-ready rifle in your safe that is always-on and ready to grab and go. More good news: that battery is a standard AAA battery that is easy to find and easy on the wallet. That battery will net you anywhere between 300 and 5000 hours of run time, depending on which of the 10 brightness levels you choose. The SPARC AR has unlimited eye relief and is parallax free, waterproof, fogproof, and shockproof. It is also compact, with a 22mm objective lens, 2.9″ length, and weighing in at 7.5 oz – approximately the same size and only a little heavier than an Aimpoint Micro. 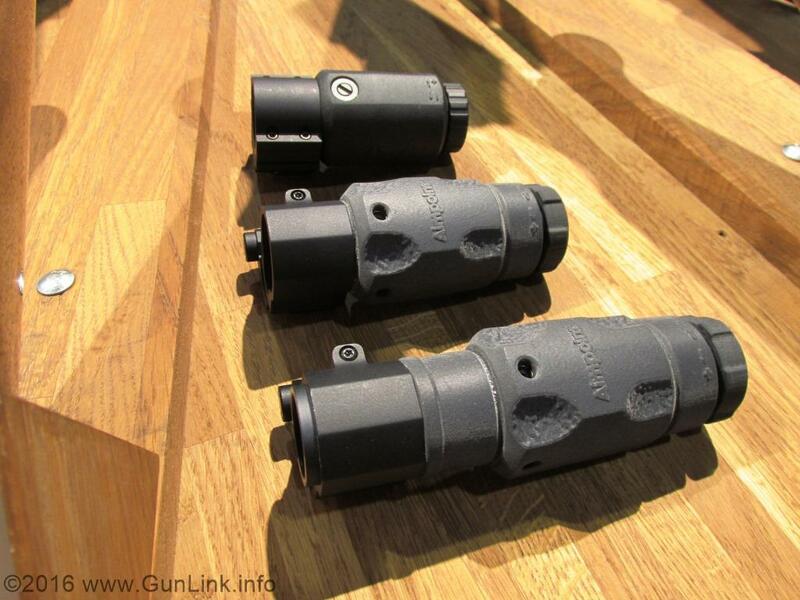 As it will co-witness with AR sights and doesn’t take up much real estate on a rail to begin with, a Vortex rep has said that there are currently no QD mounts planned. 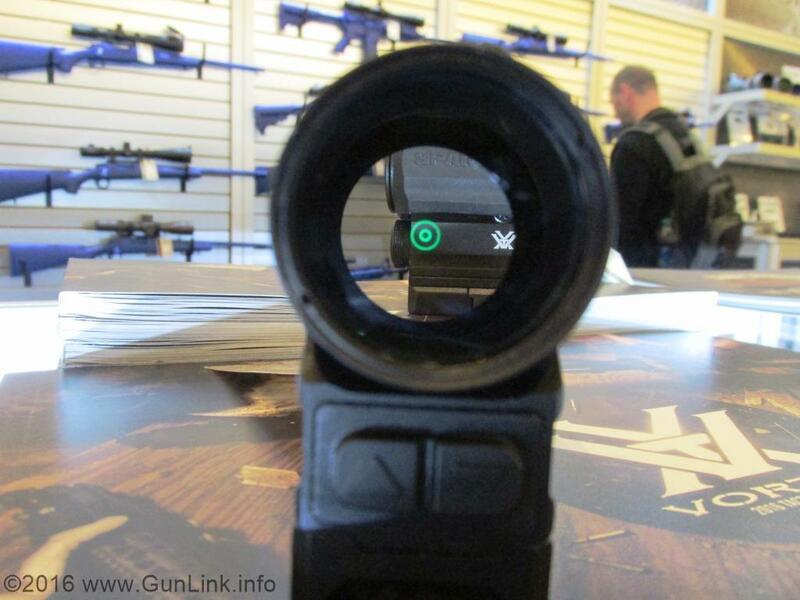 Also from Vortex for quick-shots and CQB AR aiming is another new unmagnified scope. The Spitfire AR is a 1x prism-based scope that tips the scales at only 11.2 ounces while still being packed with performance and features. It has a 25mm objective lens and is 4.3″ long. 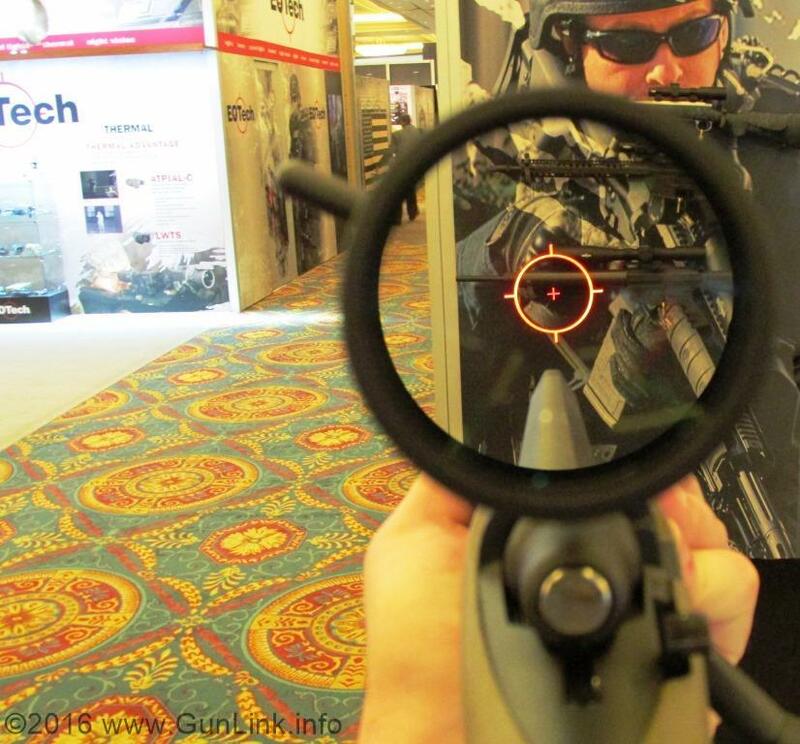 The Dual Ring Tactical (DRT) reticle – featuring a 3 MOA dot, 44 MOA inner ring, and 140 MOA outer ring with ½ MOA adjustments and 3.8″ eye relief – is etched into the optic so it will be visible and usable even without the use of the illumination function. That illumination is user selectable between red and green and will give you 250 to 3000 hours of use, varying with the 5 available brightness settings and, like the SPARC AR, is powered by a standard AAA battery. 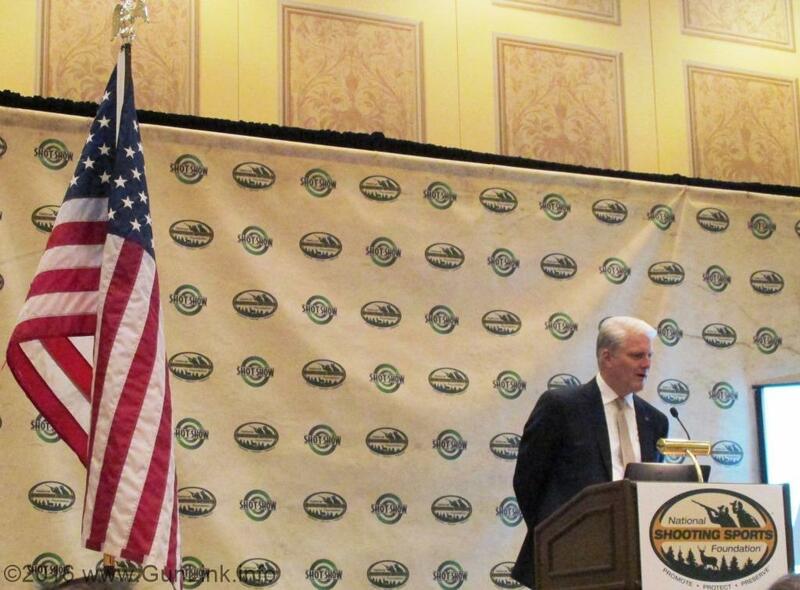 EOTech was not only showing off their brand new magnified scopes at SHOT Show, they were also there trying to rebuilt confidence in the brand after the fiasco that resulted in a $25.6 million settlement after they allegedly misrepresented the specifications of their holographic weapon sights and sold them knowing that they were defective. The issue mainly stemmed from the sights’ propensity to have a POI/POA shift when used outside of certain temperature ranges. 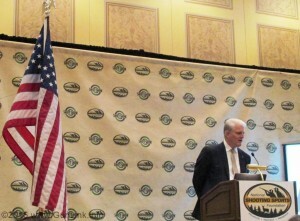 The company’s director of marketing, John Bailey, was at SHOT talking about their outlook – which he described as “positive.” In addition to the settlement in regard to the thousands of holosights sold via military and law enforcement contracts, the company said that they are trying to regain trust and make civilian consumers whole as well with combination of repairs, replacements, and refunds. 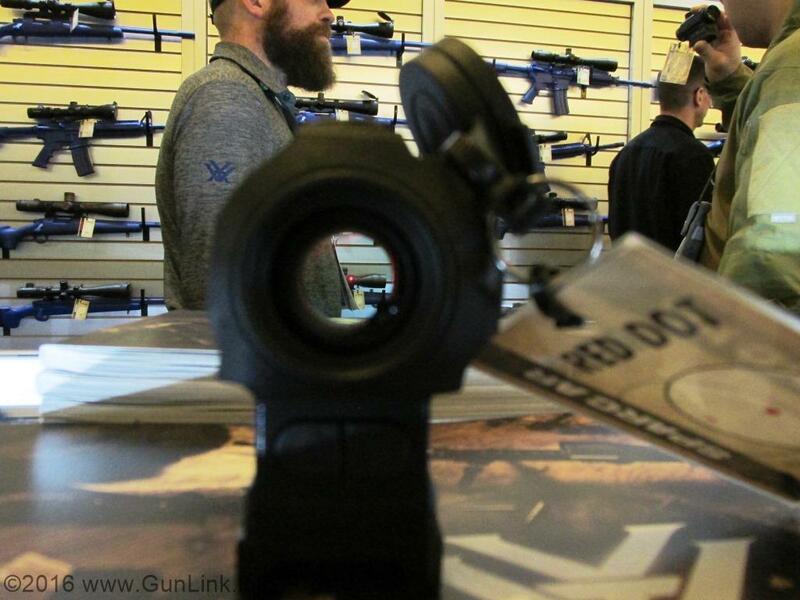 With that out of the way EOTech SHOT Show booth visitors could get down to the other big news there: magnified scopes. 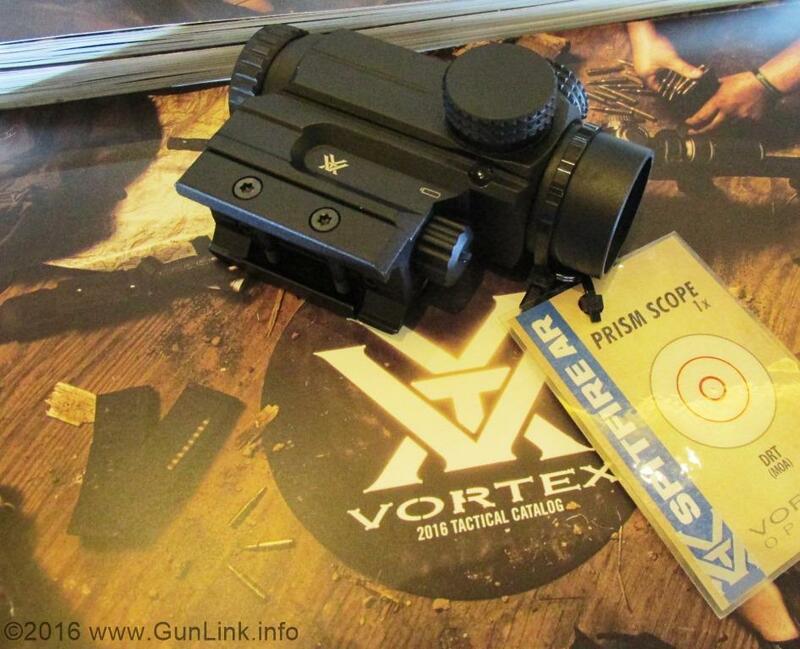 Like the new Vortex precision scope, the EOTech offerings are also FFP models. 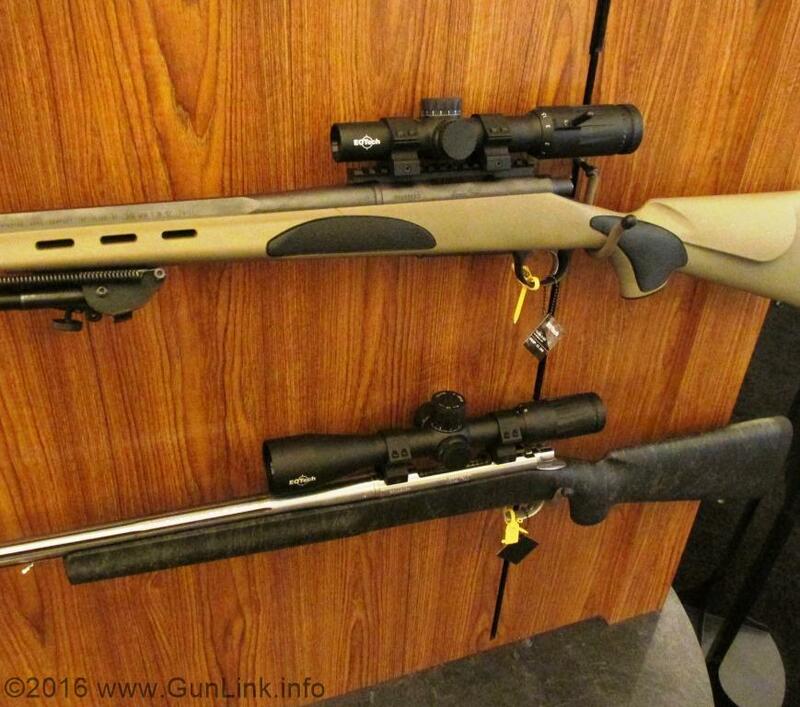 The Vudu line of scopes come in several flavors which include 1-6x, 2.5-10x, and 3.5-18x magnification as well as a couple different reticle options. 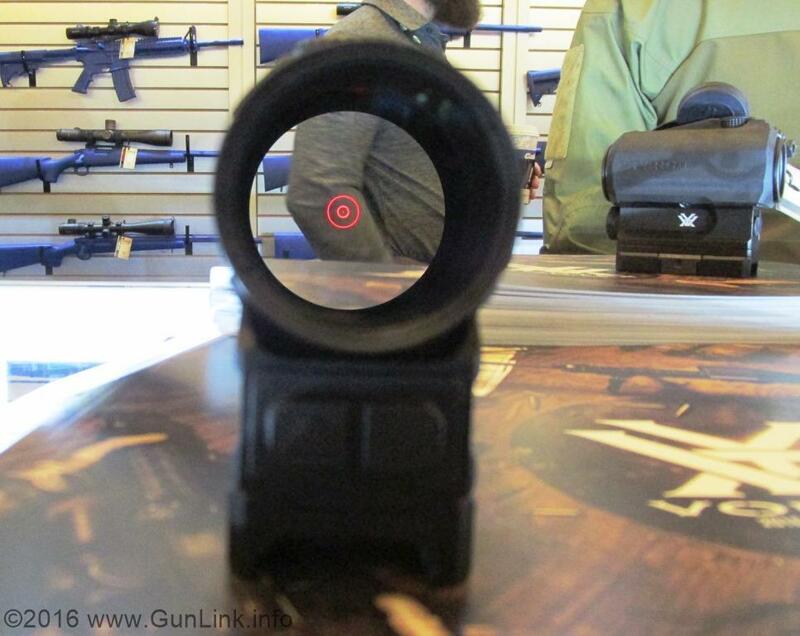 One of those options will look familiar to EOTech holosight users, while more traditional reticles are also available. The etched optics are enhanced with the illumination feature that brings the reticle to life. Illumination that claims an absurd 10,000 hours of battery life. Eye relief on all models is in the ballpark of 80-100mm across the zoom range. Adjustements are graduated in 0.2 MRAD increments on the 1-6x model and 0.1 MRAD increments on both of the others. The Japanese-made Vudu line ranges in price from $1300 to $1630. 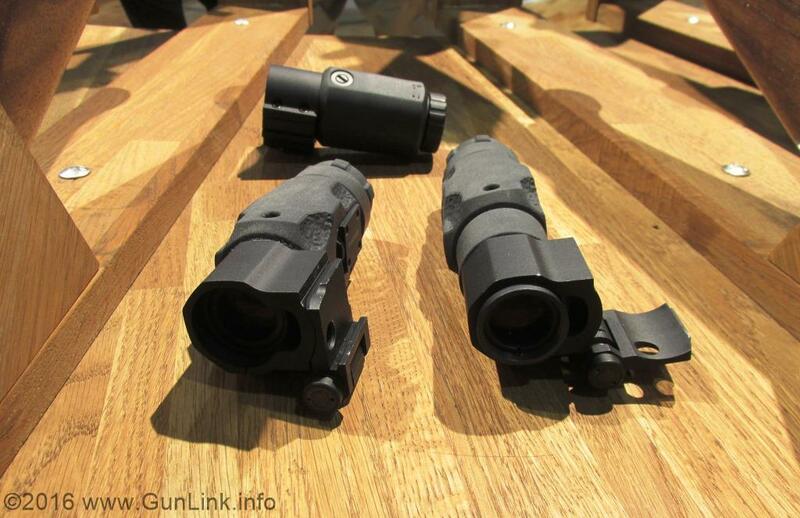 At SHOT Show, Aimpoint introduced three new magnifiers into their product line. The magnifiers are designed to work with the company’s electronic reflex sights and are available in 3X and 6X power, in a standard grade for civilian use and a “professional grade” for use in military and law enforcement applications. 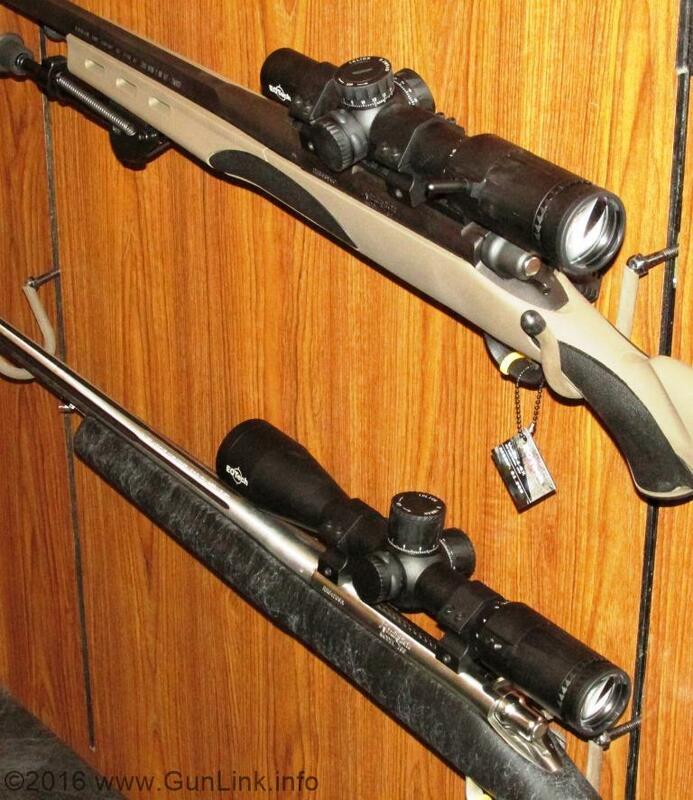 All models are protected by shock absorbing armor to protect the optics. The new Aimpoint magnifiers feature diopter adjustment, allowing each optic to be individually adapted to the operator’s eye. 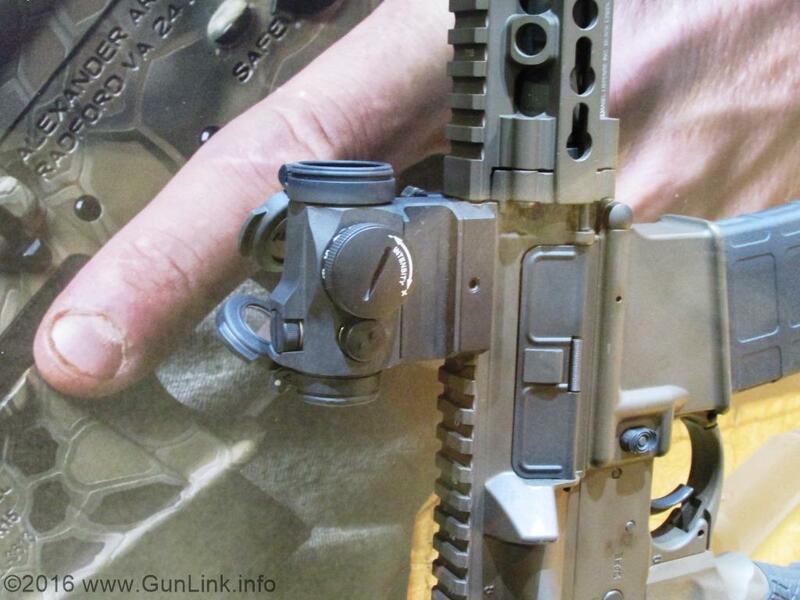 The Aimpoint magnifiers may be used with the company’s quick-detach TwistMount, or with the new FlipMount which allows the magnifier to be quickly flipped to the side or removed completely when not in use. Aimpoint sales VP, Matt Swenson said that the magnifiers would “open up some interesting new opportunities for users of Aimpoint sights.” Of the professional model 6XMag, swenson continued, pointing out that it offers 50% more magnification than existing US military combat optics, and allows an operator to quickly transition back to their non-magnified Micro T-2 sight for CQB. Also on tap from Aimpoint at SHOT was their new AR-ready configuration of the Micro H-2 red dot. Sitting atop a quick-detach Lever Release Picatinny (LRP) mount that incorporates a 39mm riser, the AR-ready model provides an out-of-the-box absolute co-witness with standard AR sights with a positive return to zero if the sight is removed and reattached.